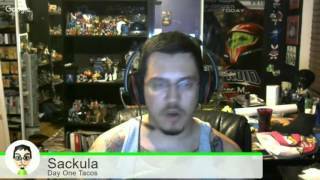 Sometimes Sackula AKA Jon Sakura, owner of Gamer’s Anonymous, does a video hangout podcast. Sackula cohosts with Michael Radon. Michael Graham joins in. Cyber Zone is usually about literally anything. It's video game centric but covers anything and everything. This time they talk about Zelda Picross, moblie vs handheld, best case NX scenarios, Dark Souls, Masters of The Universe game, Hanson, Beethoven movies, Starfruit/Dragonfruit, and a lot more.